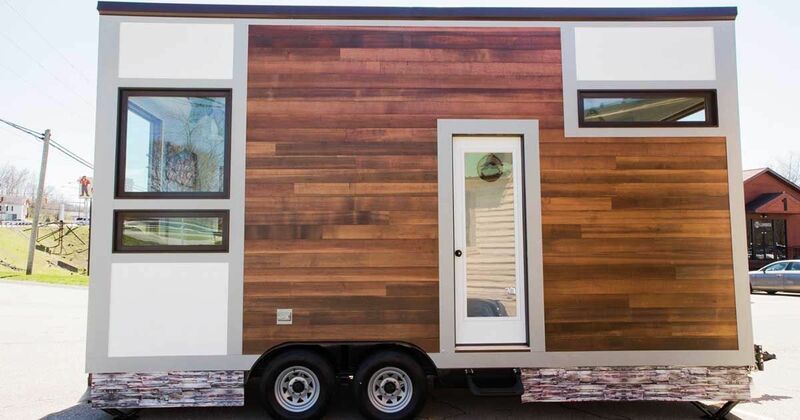 Come meet the diminutive Degsy, a single-level tiny home on wheels made by 84 Lumber Tiny Living, a subsidiary of the building supply company with 250 U.S. outlets. 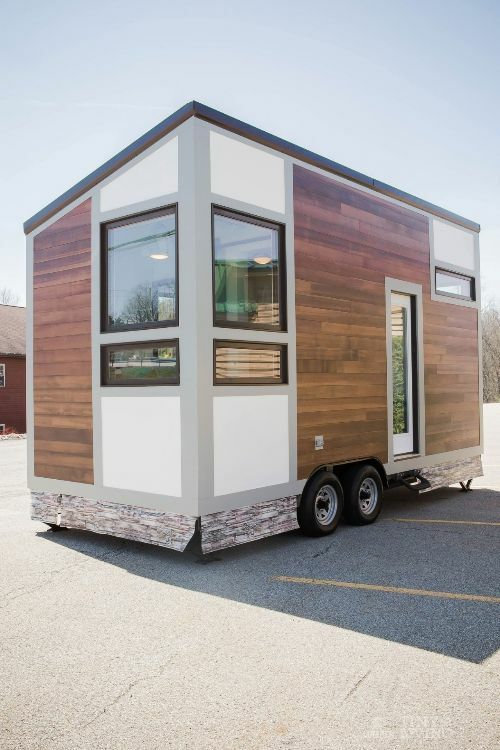 The company builds three current models of compact homes. 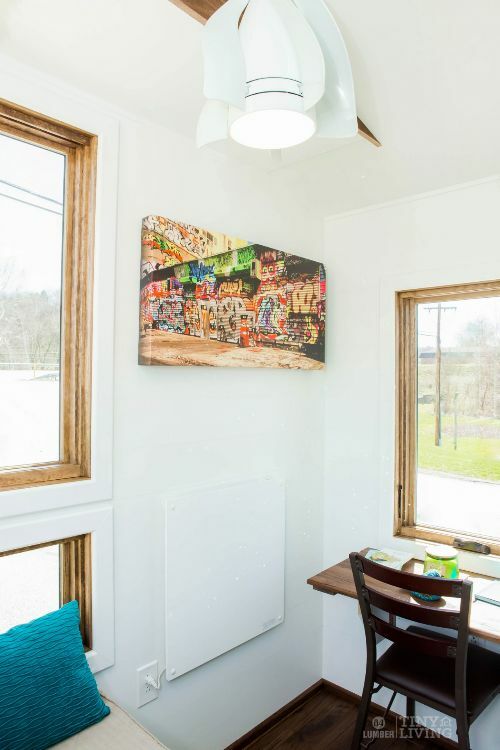 The Degsy isn't the smallest, but it comes in at a sweet, petite 160-square feet. 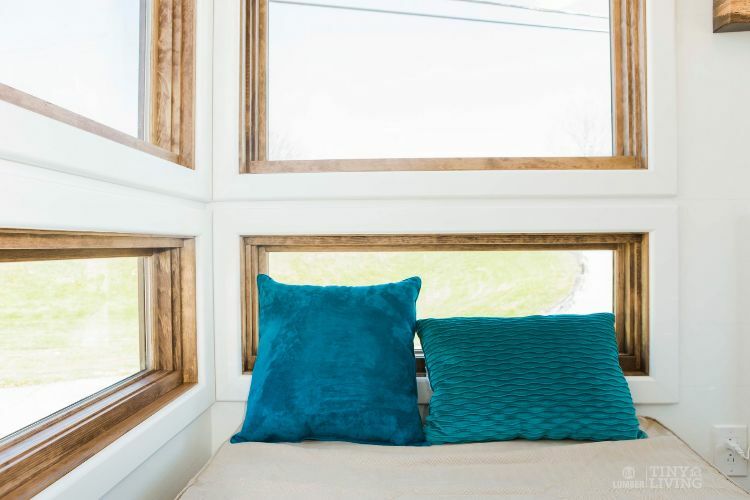 Among its unique features is a corner window set up that allows for a dazzling amount of sunshine to pour into the home. 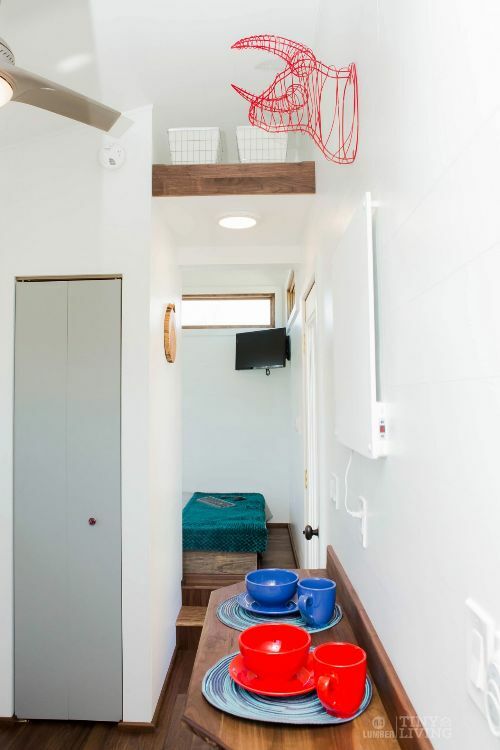 (In fact, this tiny home might be a house plant's version of paradise.) 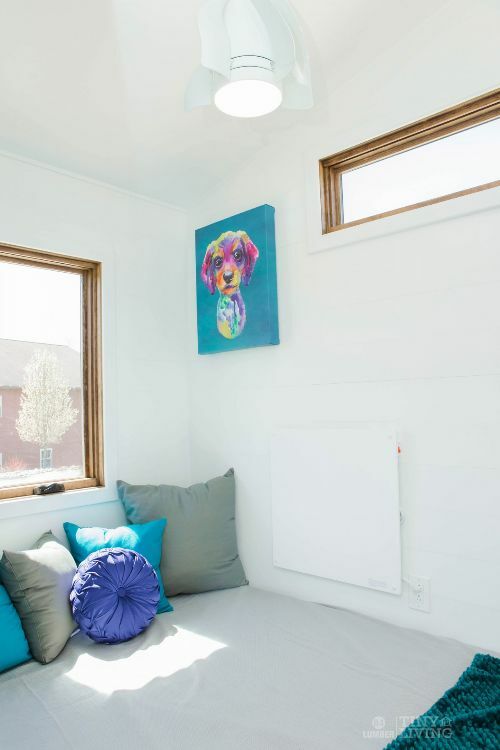 For the more discerning human residents, the home features walnut flooring, fully insulated 2x4 framing, a 26-gauge metal roof, a 30-gallon freshwater storage tank and clear cedar siding. Let's peruse the premises, shall we? These windows and the glass door give the Degsy a contemporary look. The steep grade of the roof also helps give the home a modern feel. This kitchen is a simple layout, but it has room to move about. 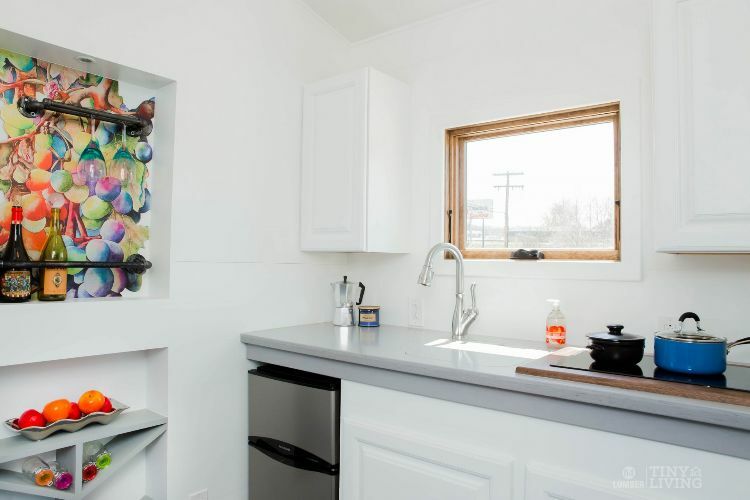 The saucepans on the right are sitting on the counter top stove. 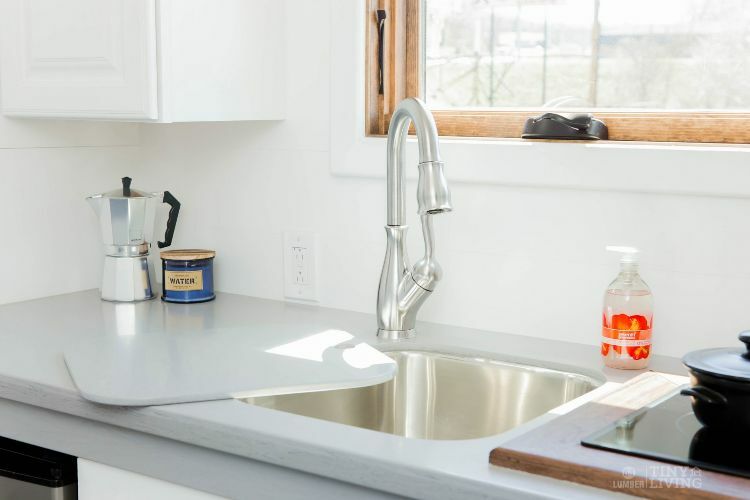 The kitchen sink has a cover to use when you need more work space. That's a wall sculpture, not a basketball net. Here's the reverse view of the shot from above. The table settings are displayed on a beautiful walnut breakfast nook that can also be used for other meals, of course. 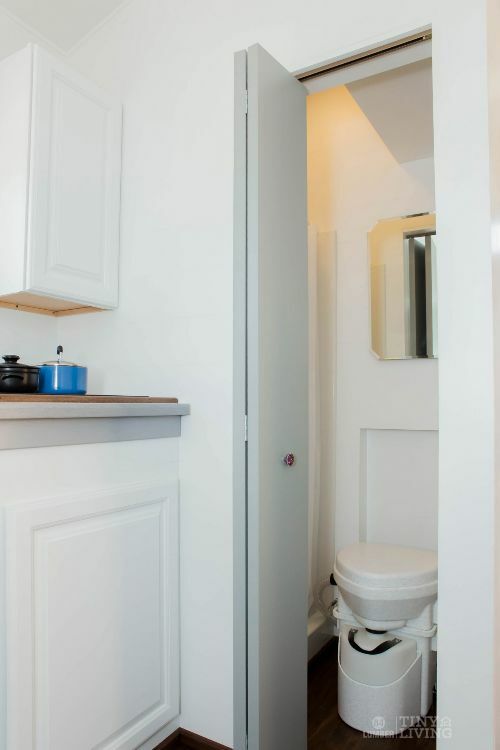 The bathroom is next to the kitchen and keeps up with the predominately white interior. This bed is on the ground floor level. 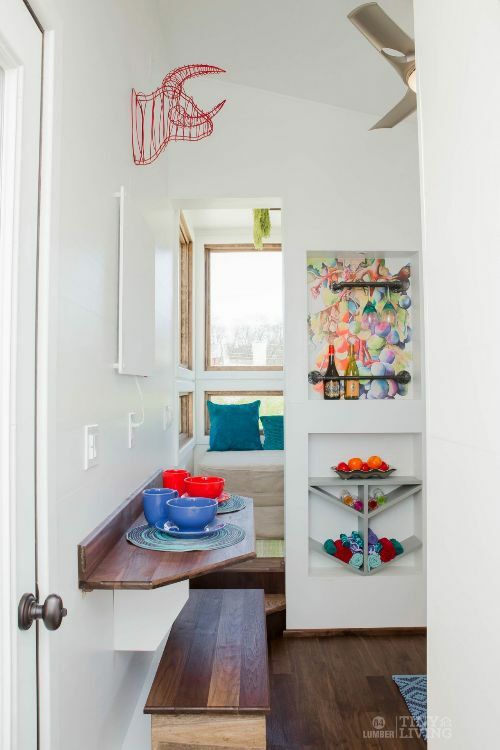 There is no sleeping loft in this 160-square feet home. Notice, there is a second walnut table in this room, as well. You can also see the modern light fixture (above) and the walnut floor. Here's the interior look at those great corner windows.